Experience wild and rugged landscapes, breathe in the cleanest air in the world, bathe on pristine secluded beaches, drive past rolling hills and alongside untamed rivers, visit historic towns and sample an abundance of great wine and culinary delights. No matter where you go in Tasmania, you'll be delighted by what you find. Tasmania may only be 150 miles away from mainland Australia but it is a whole world apart. It has glacial lakes, lush green valleys, undeveloped coastlines and amazing mountains, not dissimilar to New Zealand, there are also faint echoes of England with old fashioned B&Bs, fish and chip suppers and delicious cream teas. It's also Australia's smallest state and for visitors the compact nature of the island is a great advantage. With good roads and few cars, it's possible to drive from one end of the island to the other in a single day. 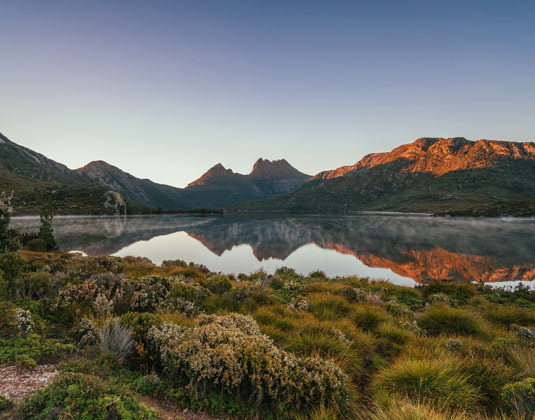 However, with a unique wilderness, historic convict sites, national parks featuring a diversity of habitats and ecosystems, and iconic places such as Cradle Mountain and Wineglass Bay all to discover, you'll definitely want to stay longer than just a day! Most Tasmanian adventures begin in Hobart, the small capital city, which sits at the foot of Mount Wellington and combines 19th century heritage, charm and a modern lifestyle in an exceptional setting. Launceston is Tasmania's second largest city and a vibrant hub for food and wine. Located at the head of the picturesque Tamar Valley there are many captivating attractions to experience and enjoy. From Hobart, discover Bruny Island's wildlife and walking trails, or drive the East Coast Escape to the perfectly shaped Wineglass Bay in spectacular Freycinet National Park. Launceston is your base for the Overland Track through Cradle-Mountain-Lake-St Clair National Park and the untamed rivers and rapids of the west coast. Also not to be missed is the well-preserved Port Arthur Historic Site, Australia's most intact and evocative convict sites; the family seaside town of Bicheno; St Helens on the north east coast, which is within easy reach of some incredible beaches; or the harbourside village of Strahan, the gateway to World Heritage listed Franklin-Gordon Wild Rivers National Park. 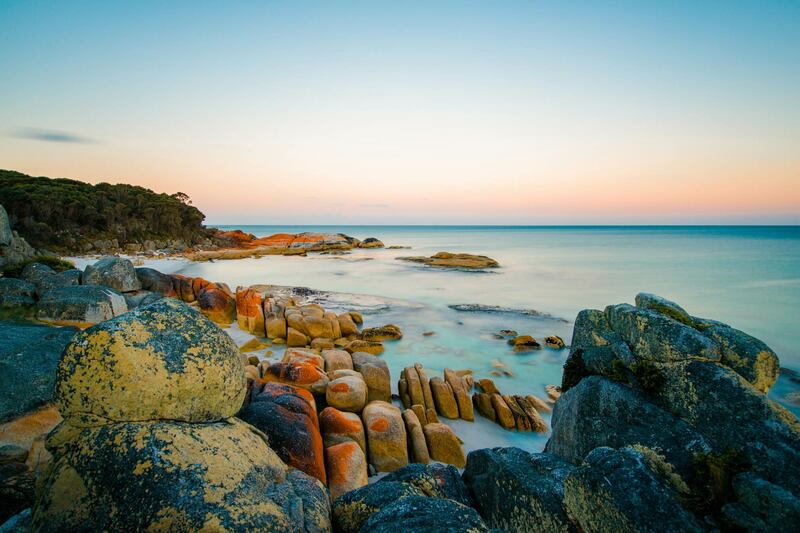 Call and speak to one of our travel experts who have experienced Tasmania personally. 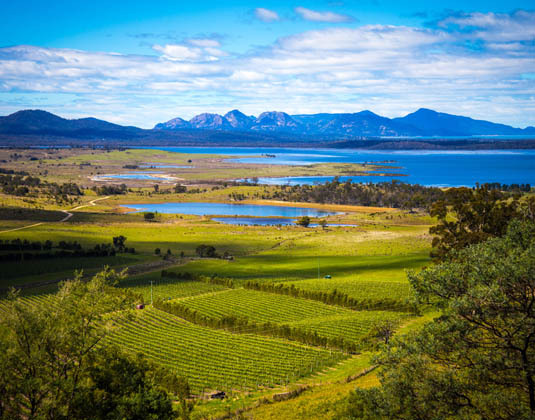 Tasmania is a year round destination, although the weather is notoriously changeable. There are four distinct seasons with December to March being the warmest months with average temperatures between 17-23ºC, while winter temperatures are usually around 3-11ºC. Rainfall varies dramatically across the island with an average of 626mm in Hobart while the west coast has an annual average of 2400mm.